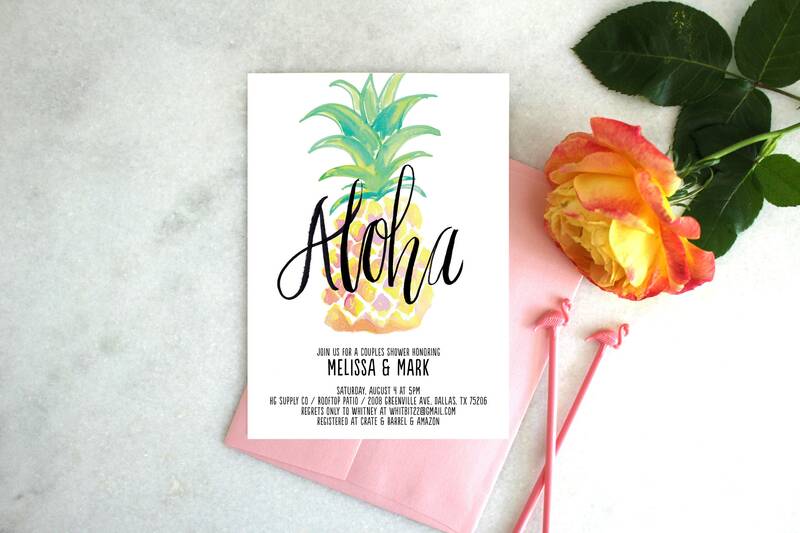 This juicy couple's shower invitation is tropical simplicity! It's party vibe is perfect for celebrating both the bride and groom. - Their registry information (optional).